SKU: KT42123. Categories: Business, Careers. 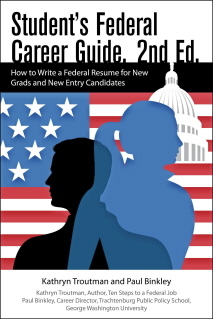 Tags: federal hiring, federal resume, hiring, job market, Kathryn Troutman, resume. Readers learn how to effectively include KSAs in their resume, maximize their resume’s presentation in Online Format, and maximize the readability of their USAJOBS federal resume. Readers also gain guidance for analyzing vacancy announcements to pinpoint keywords, mastering the Assessment Questionnaire, and applying for federal jobs. 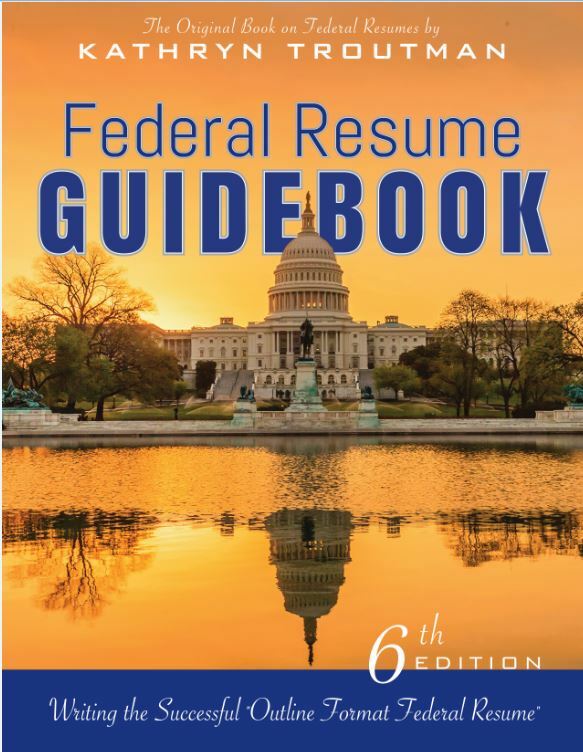 In addition, this book showcases more than a dozen federal resume samples to demonstrate which components stand out best to HR specialists and hiring supervisors. Kathryn Troutman lives in Catonsville, MD and is the founder and president of The Resume Place, Inc., a service business located in Baltimore, MD. The Resume Place specializes in writing and designing professional federal and private-sector resumes, as well as coaching and education in the federal hiring process. For the past 40 years, Troutman has managed her professional writing and consulting practice, publishing, and federal career training business. With her team of 20 Certified Federal Resume Writers, The Resume Place advises and writes more than 300 federal resumes per month for military, private industry, and federal clients world-wide.